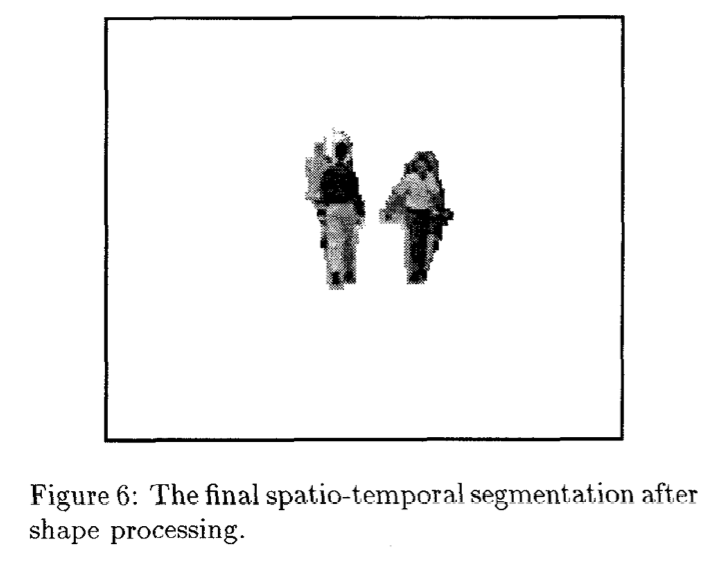 In the paper, an automatic spatio-temporal video sequence segmentation algorithm is proposed. To ad- dress this very daficult computer vision problem, sev- eral novel algorithms have been developed which use both spatial and temporal information. First, a novel temporal segmentation algorithm is developed based on our previous work in motion estimation. Second, an iterative split-and-merge spatial segmentation scheme is proposed with an initial segmentation being pro- vided by recursive conditioned dilation operation merg- ing pixels into homogeneous regions, followed by an it- erative refinement algorithm to obtain the final spatial segmentation. Third, temporal and spatial segmenta- tion are linked to form spatio-temporal segmentation with the shape of each object being simplified by a mor- phological close-opening operation to obtain the final segmentation. Performance evaluation shows that the developed algorithm can successfully segment moving object without any human intervention. J. Vass, K. Palaniappan, and X. Zhuang. Automatic spatio-temporal video sequence segmentation. IEEE Int. Conf. Image Processing, pages 958--962, 1998.